However, some parrots do live outside tropical environments. The Kea is the world's only alpine parrot, living in New Zealand and nesting in the roots of trees. 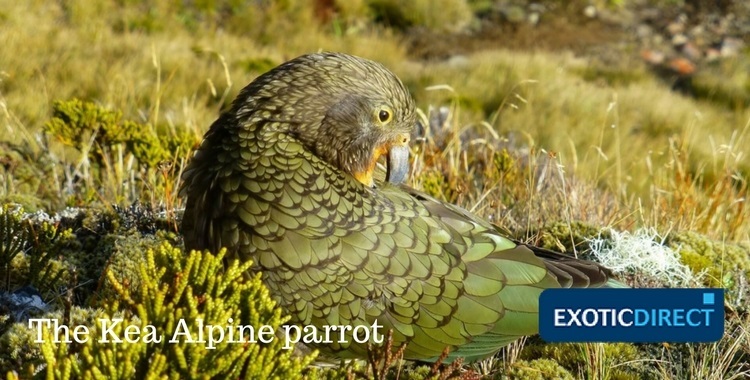 A Kea Alpine parrot nestling in the grass in New Zealand. 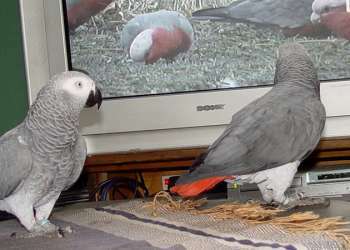 We've all seen videos of parrots saying hello and copying the things their owners say. But did you know that some budgies have vocabularies of up to 2,000 words? They use these feathers to communicate with other parrots - for instance, to attract a mate, or to warn off potential predators. Some crests in domesticated parrot species are made from selective breeding or mutations. Also, it's not totally understood how or why this particular trait has stuck around in domesticated parrots that don't need a crest, and research into this is common. Perhaps they just love looking glamorous. Who’s a pretty boy, then? We've seen that many parrots can mimic humans, with some budgies having a vocabulary of up to 2,000 words. However, that's not all parrots can do! The Kea parrot has been shown to be particularly intelligent, learning to push and pull certain things in order to get food. Keas can also work together to achieve certain objectives, and have even been observed fashioning tools from sticks in order to experiment with animal traps and get food. Reportedly, some will use pebbles to mash up cockle shells in order to get their calcium. Many people don't realise, but parrots sometimes live as long as humans. The African Grey parrot, for instance, can live between 50 and 70 years. 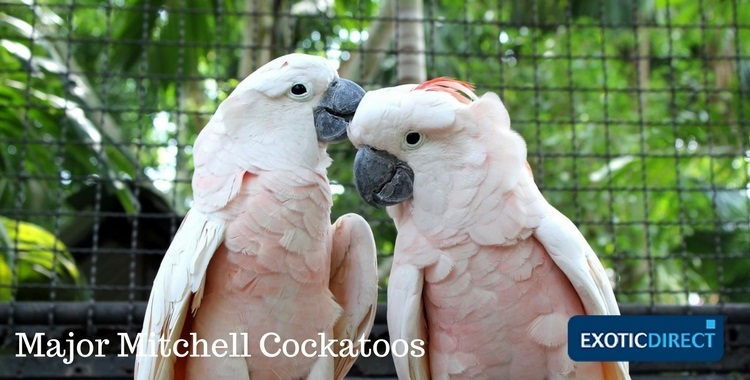 One of the oldest parrots, Cookie, a Major Mitchell's cockatoo, died in August 2016. He was believed to be one of the oldest parrot of his species in captivity, dying at the ripe old age of 83. He was recorded as being the oldest living parrot in the world by the Guinness World Records. 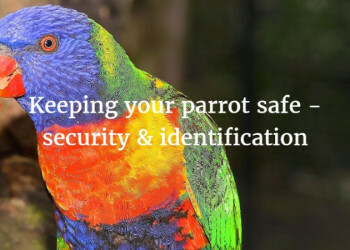 It's important to bear this in mind if you're thinking of buying yourself a parrot, as it could be a lifetime commitment. But it means you’ll be able to show it off to your grandkids! However, often parrots in captivity won't live quite as long as those in the wild. 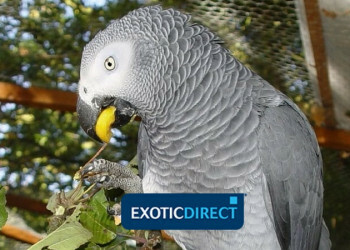 To help your parrot live out her years, you should make sure she eats a suitable and varied diet, has the right kind of stimulation and exercise, and that your home is safe, comfortable and free from dangers. Most parrots are monogamous, meaning they mate with only one partner for their whole lives. These 'pair bonds' as they are known are preceded by courtship displays. This means parrots will dance and sing songs in order to win a mate. These mates then usually work together to raise their young. These parrots are known to have particular trouble breeding. One study followed the Palm Cockatoo for nearly three years, and observed that 81% of nests didn’t produce any young, meaning there was only a 19% breeding success rate in nests. The study suggested this was because these parrots are particularly sensitive to changes in their environment. They have even been referred to as the giant pandas of parrots because of the trouble they have breeding. Just as cute, but with feathers! Even now, if you go to Crystal Palace Park or Hampstead Heath, you can see Rose-Ringed parakeets sitting in trees! These parrots have adapted to a life in an environment extremely different from their natural habitat. And it's not just in the UK, either; the Rose-Ringed parakeet can be found in the Netherlands, Belgium, Italy, Portugal and Germany, and some have even spread as far as the United States and Lebanon. Many parrots have a hinged upper and lower beak. This means that both mandibles can move, rather than like in us humans - we only have a lower mandible that can move.